I don’t believe in ageing. I believe in forever altering one’s aspect to the sun. This is exactly what Mikhail Baryshnikov has been doing for the past twenty-five years, since he left the American Ballet Theatre and formed the contemporary dance company, the White Oak Dance Project. As each season has passed, Baryshnikov has slowly adjusted his position, letting light illuminate new aspects of his extraordinary talent. Few dancers have continued on the stage as long as he has – he’s now sixty-seven – and fewer still with such acute judgement and elegance. His choices have always been spot on; a rare example of intelligence matching the calibre of the dancer. 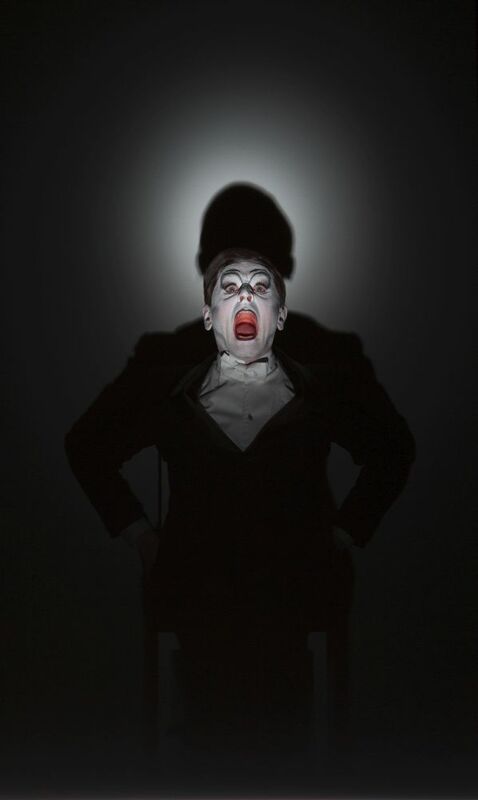 In Baryshnikov’s new collaboration with Robert Wilson his gifts as dancer, mime and, above all, actor are displayed in all their glory, as he portrays Vaslav Nijinsky, or rather, explores the mind of Nijinsky, when his reasoning began to leave him. 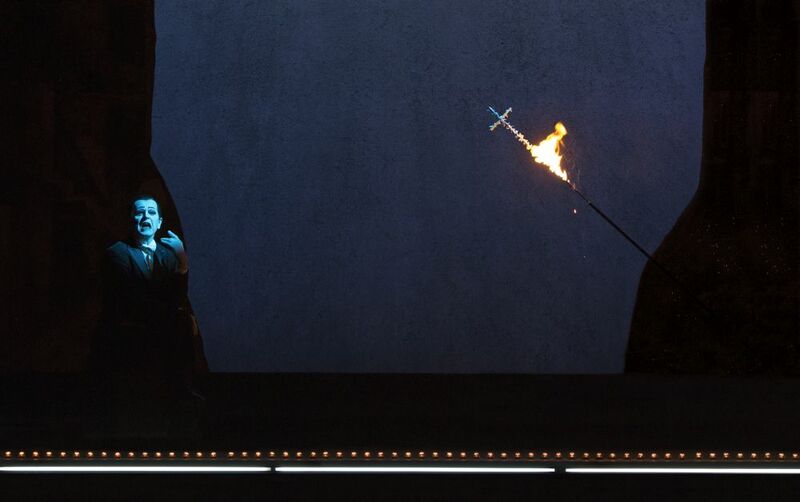 Wilson’s characteristic perfection in all aspects of his productions – the scenery, the projections, the props and, above all, the lighting – are matched by Baryshnikov’s detailed and precise work with his body… his smile… his hypnotic gaze. Requesting a ticket near the stage resulted in a seat in the centre of the first row. In the intimate surroundings of Milan’s Teatro dell’Arte, it would have been possible to touch Baryshnikov by just stretching out a hand. At that distance, even an almost imperceptible distraction is visible. Not once was he not ‘in the moment’, always totally engaged with his character and this spellbinding piece, Letter to a Man. From close up, it’s possible to fully appreciate the great care taken with the smallest of details: Baryshnikov’s tailcoat is perfectly cut; his Petrushka-like black and white makeup, carefully applied; his movements and the thousands of light cues are impeccably coordinated. The preciseness is clean and ordered but not heartless. Frequent mantra-like utterings – live and recorded, in English and in Russian – are disturbing: “I am not Diaghilev… I am not Diaghilev!” His grin can be open as a child’s, or creepily forced like a doll in a horror movie. The shivering inevitability of his deliberate backwards walk towards a precipice, in black and white, contrasts with his smiley appearance behind bright red velvet curtains in a yellow frame. Back on stage? No, these are not theatre curtains, rather those of the circus or an end-of-the-pier puppet show. Diaghilev’s puppet playing bizarre games in his mind. The ‘story’, or mood, is suggested in flashes – aural and visual. A series of fragments which, pieced together, result in an irregular and incomplete but intriguing puzzle. It is not meant to be understood, just experienced, felt. The feeling is exhilarating. Baryshnikov made ABT a greater company, enriched the repertory, advanced the careers of many fine dancers, and essentially created the foundation for the current school.